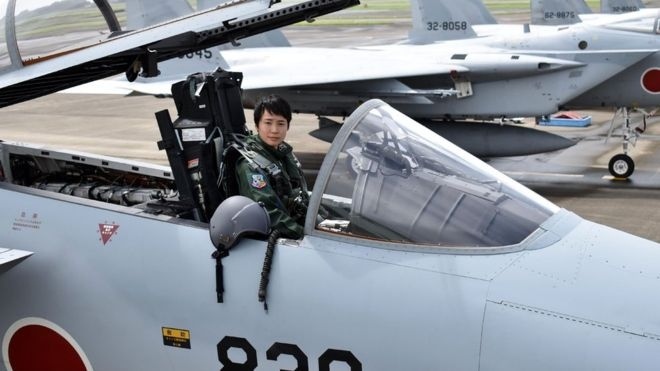 AKIPRESS.COM - A Japanese woman will be flying through the glass ceiling as she becomes her country's first female fighter pilot, BBC reported. First Lieutenant Misa Matsushima, 26, will begin duty on Friday having completed her training to fly F-15s, Japan's military has announced. "As the first female (fighter) pilot, I will open the way," she told reporters. Japan's air force began recruiting women in 1993 - except as fighter jet and reconnaissance aircraft pilots. It lifted that final ban in late 2015. "Ever since I saw the movie Top Gun when I was in primary school, I have always admired fighter jet pilots," the graduate of Japan's National Defence Academy told journalists. "I wish to continue to work hard to fulfil my duty - not just for myself but also for women who will follow this path in the future."